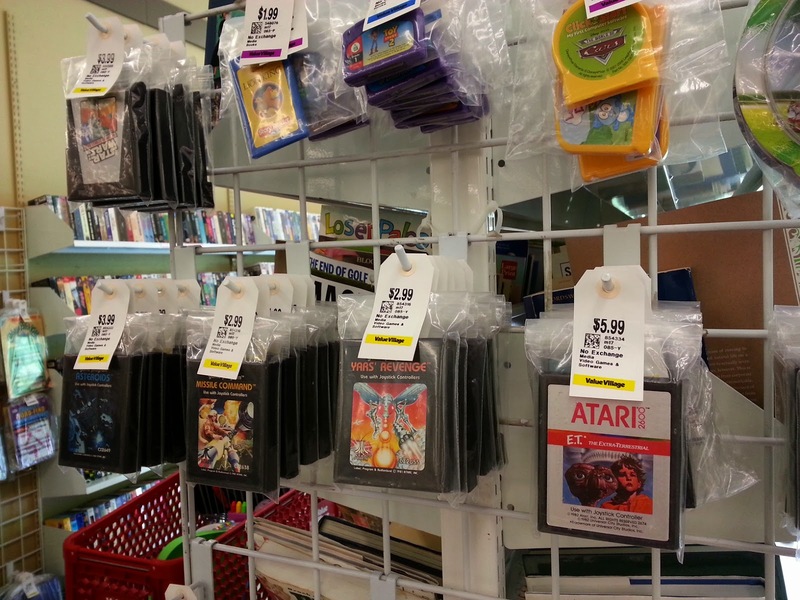 Here's a few pics of some cool toys Bill came across in a recent Value Village trip. 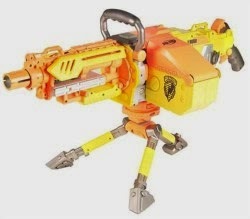 It is a large blaster that has both a battery-powered automatic firing mode and a manual, single-fire firing mode which requires priming with a bolt. It is unique for using a belt system for loading and firing. 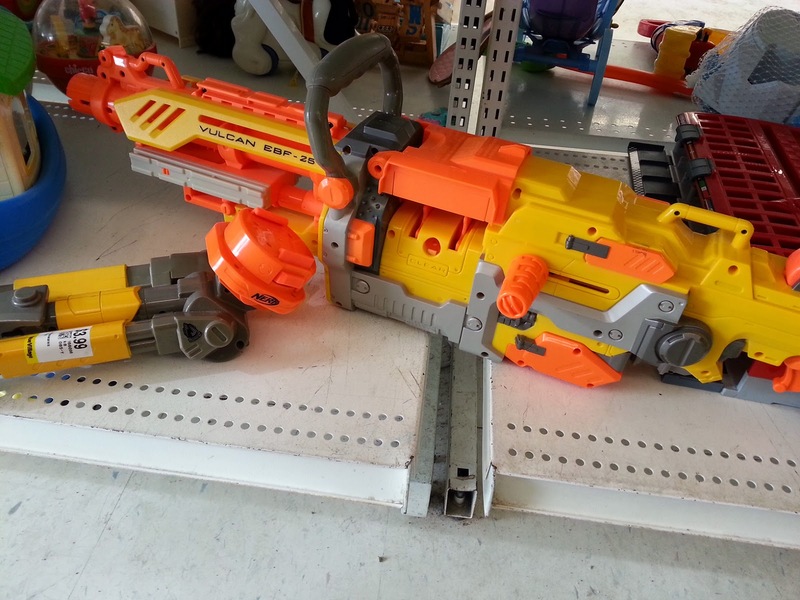 It has three tactical rails: two on the sides of the blaster, and a third on top of the blaster. It features a detachable tripod which allows for the blaster to be used stationary on any flat surface like a turret. It has a large carrying handle on top of the blaster, which allows the blaster to be fired from the hip. It also has three clip points on it for use with a sling, bandolier, or another form of carrying device. One is located on top of the muzzle, another is located under the front of the blaster, and the last one is located at the end of the blaster. The Vulcan has an ammo box on the side of it, which allows it to store its belt. However, if it is not loaded correctly it will easily jam. When fired without batteries it can reach the ranges equal to that of the Longshot CS-6. It is possible, though notably hard, to detach the ammo box, leaving only the belt.